British prog-rock guitarist and songwriter Steve Hillage has been perpetually exploring, inventing, and recording intricate musical composition since the late 60s. Hillage navigated his ingenuity across a spectrum of musical genres including blues, rock, prog-rock, psychedelic-rock, space-rock, ambient, electronica and techno. In 1971, Hillage formed the progressive/space rock group Khan, which was part of the Canterbury scene. Khan released their only album Space Shanty in’72. The group also toured around the UK supporting their label partner Caravan. A second album was planned but the band split-up. Material for the planned second album was used on Hillage’s first solo-effort called Fish Rising. In 1973, Steve Hillage joined prog-rock pioneer Kevin Ayers new band Decadence. He played on the bands fourth studio album Bananamour (recorded at Abbey Road Studios in London) and toured throughout Europe for several months. Hillage become a fan of the experimental rock group Gong and eventually joined them in France to participate on their album Flying Teapot (The first installment of The ‘Radio Gnome Invisible’ Trilogy). 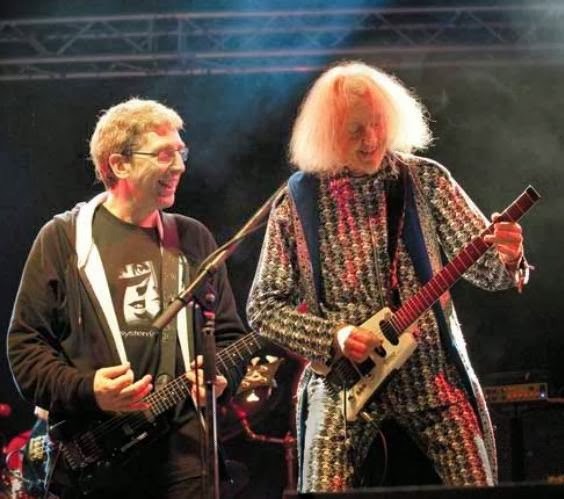 Steve Hillage became a full-time member of Gong and the classic line-up evolved into … Daevid Allen –guitarist/vocals, Steve Hillage- guitars, Gilli Smyth -vocals, Didier Malherbe -saxophonist/flautist, Tim Blake –keyboards/synthesizers, Mike Howlett -bass guitar and Pierre Moerlen -drums and percussions. Hillage became notably influential during the most successful period in the bands history. 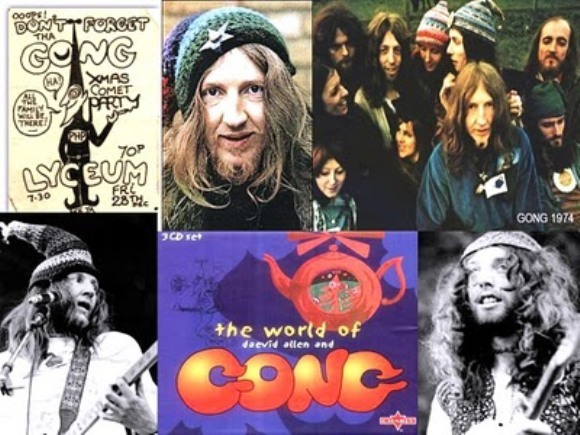 The recordings of The ‘Radio Gnome Invisible’ Trilogy” featured Gong’s best known works, Flying Teapot, Angel’s Egg and You. 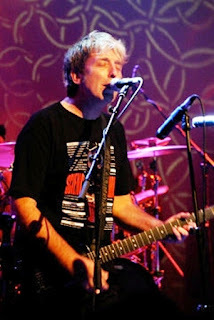 Steve Hillage, who became the undisputed leader of Gong, left the group in 1975. While still in the band, Hillage launched his critically-acclaimed debut album, Fish Rising. The recording would prove to be pivotal in establishing a successful and long-standing solo career for the progressive rock trailblazer. Next, Steve Hillage would record a string of musically profound albums. The first entitled simply, L (1976) produced by the genius of Todd Rundgren. The recording also featured many members from Rundgren’s progressive rock group Utopia. The album spotlighted several cover tunes … “Hurdy Gurdy Man” by Donovan and, “It’s All Too Much” penned by George Harrison from The Beatles, Yellow Submarine album of 1969. Motivation Radio (1977) was Hillage’s third solo release followed by Green (1978) co-produced and engineered by Pink Floyd’s acclaimed drummer Nick Mason. Subsequent releases by Steve Hillage were Live Herald, Rainbow Dome Musick, For To Next, and For To Next/And Not Or. 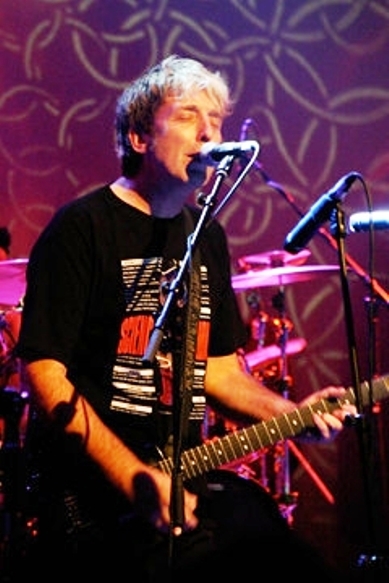 Throughout the 80s, Steve Hillage worked as a record producer with such artist as Robyn Hitchcock, Simple Minds, It Bites and Murray Head. Hillage also produced the Up To Our Hips album by British alternative rock band The Charlatans in 1994. In 1991, former Gong members Steve Hillage and Miquette Giraudy formed the ambient-techno dance band System 7. The band became part of an underground dance movement around London. They released the self-titled, System 7 album followed with their second release, 777 in 1993 which reached the UK Top 40 album charts. System 7 also launched spin-off projects called Mirror System and Groovy Intent. System 7 released (10) studio albums, and Mirror System released (2) studio albums. Steve Hillage became an ambient-techno cult hero. Hillage and Giraudy performed at the ‘Gong Family Unconvention 2006’ at the Melkweg in Amsterdam. The three day event featured the original members of Gong and a setlist consisting of material from The ‘Radio Gnome Invisible’ Trilogy. The duo also performed music by The Steve Hillage Band and System 7. In 2008, the successful ‘Gong Family Unconvention’ was resurrected in London for several shows. The line-up also included original members Daevid Allen, Gilli Smyth, and Mike Howlett. In 2009, Gong released 2032, billed as a further installment to the Gong mythology (the central part being The ‘Radio Gnome Invisible’ Trilogy). The album was produced and mixed by Steve Hillage. Steve Hillage will be re-releasing, The Steve Hillage Band Live -The 2006 concert at the ‘Gong Family Unconvention’ in Amsterdam and will be available on DVD and CD on September 12th. It’s the first live performance by The Steve Hillage Band in 25 years! Steve Hillage and Miquette Giraudy will be releasing a brand new System 7 EP very soon, and watch out for a new collaboration with Japan’s Rovo. I had the rare and pleasant opportunity to chat with Steve Hillage by Skype from his home in England. Here’s my interview with guitar virtuoso, songwriter, singer, techno and progressive cult hero, and experimental music trailblazer, STEVE HILLAGE. Ray Shasho: Steve, how are you? Ray Shasho: I’ve always appreciated progressive rock music and grew up mesmerized by bands like … Camel, Triumvirat, Gentle Giant, King Crimson, Genesis, Pink Floyd, Mahavishnu Orchestra, the rock orchestra Synergy, and of course Gong. What artists inspired you into creating your own style of music? Ray Shasho: Gong has had incredible longevity and developed a cult following, is that because they’re a band of virtuoso musicians? Ray Shasho: Wasn’t Bill Bruford in the band for awhile too? Ray Shasho: Gong has certainly had an influence on electronica/dance music. Ray Shasho: Gong back in its heyday must have been amazing? Ray Shasho: Gong has reformed several times over the past several years as well … how did that come about? Ray Shasho: Steve, I watched The Steve Hillage Band live DVD from the ‘Unconvention’ in Amsterdam, and it was an incredible compilation of music played to its perfection, I gave it 5 stars. Ray Shasho: I’m going to mention a few albums that you recorded in the past as The Steve Hillage Band and you can jump in with any comments if you see fit. First of all … Fish Rising was one of your best albums; it sort of had a ‘Mahavishnu Orchestra’ /Birds of Fire feel to it. Ray Shasho: Another inspiring recording was your 1978 album, Green when you worked with Pink Floyd’s legendary drummer Nick Mason. Ray Shasho: Todd Rundgren produced your second studio album called, L.
Ray Shasho: Steve, was there an album you were ‘especially’ proud of? Ray Shasho: Talk about how System 7 came into its fruition. Ray Shasho: Steve, what are your very latest projects? Ray Shasho: Steve, thank you so much for being on the Skype call today, and also for all the incredible music that you’ve given to us over the years. I hope to see you either with The Steve Hillage Band or System 7 one day soon here in Florida. Steve Hillage will be re-releasing The Steve Hillage Band Live -The 2006 concert at the ‘Gong Family Unconvention’ in Amsterdam available on DVD and CD -September 12th. It’s the first live performance by The Steve Hillage Band in 25 years! -Preorder now at amazon.com.